When it comes to businesses considering moving from MailChimp - or a similar email marketing platform - to HubSpot, often the main issue when making the change is the price of running their contact database. MailChimp is cheaper than HubSpot, and if you are targeted with your emails, it can be effective, too. It’s a good solution for small businesses looking to get started with email marketing and segmenting their contact database. HubSpot however, is a growth marketing solution, a solution that’s comprised of a number of marketing, sales and customer services tools, all of which help businesses to scale their activities and grow. Don’t just move your entire database from MailChimp to HubSpot. HubSpot is priced on a ‘per contact’ basis, so to keep costs down you would only want to migrate engaged leads into your HubSpot portal. At this stage, you should only segment and move over your most essential contacts in MailChimp - this includes all your current customers and contacts that are engaged with and talking to your sales team. However, this also leaves a number of contacts that aren’t currently as engaged as you’d like them to be. Once you’ve identified the list of contacts in MailChimp that you want to try and engage with, you need to build a landing page in HubSpot that promotes a top-level piece of content. Nothing too salesy, but something valuable and educational! If anyone lands on this page and completes the form, they will be created in HubSpot as a new contact - great! 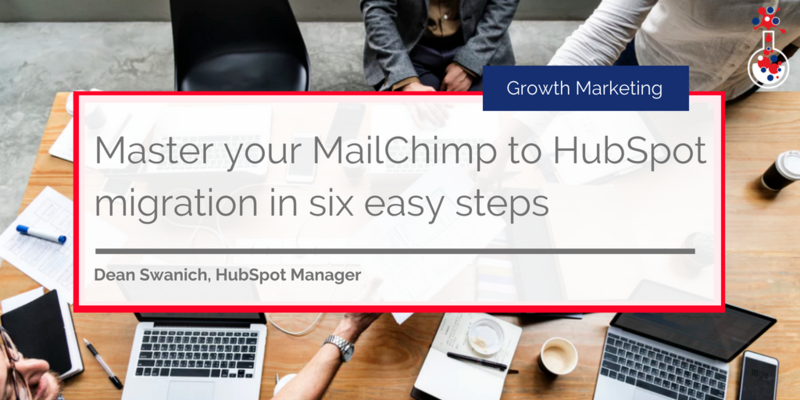 Step three: Use MailChimp to send emails to your list - but link through to a HubSpot landing page. Essentially, the aim here is to try and get the list of contacts to engage with your HubSpot hosted landing page. This means that they receive the email from MailChimp, but when then click on a link to a HubSpot landing page and convert on that page, they become contacts in your HubSpot database. Once leads start converting, they’ll become contacts in your HubSpot database. At this stage you’ll want to remove them from MailChimp so your MailChimp database contains only unengaged leads. There’s a good chance that some of your contacts missed your first email – so send out two or three emails over a period of time to see if they come back and re-engage with you. If they do, they’ll convert on your HubSpot-hosted landing page and become a lead in your HubSpot portal. Once that’s done, you can remove them from MailChimp. Doing this two or three times provides as much opportunity as possible for them to convert. 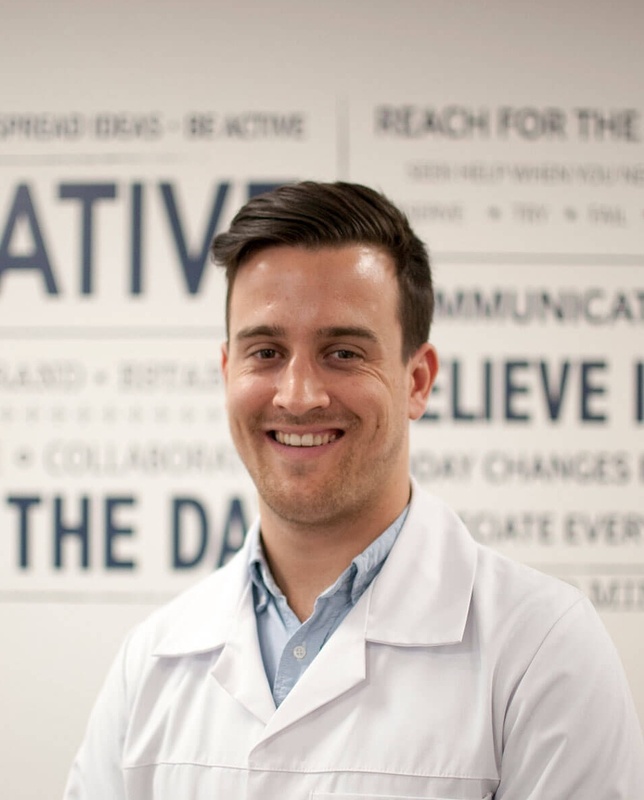 Using the process outlined above, you end up with what we would describe as ‘hot leads’ in HubSpot, whilst your unengaged leads are stored in MailChimp. You then run one last ‘kill’ campaign from MailChimp and delete anyone who doesn’t want to hear from you or isn’t interacting with your emails. Once this is done, you should switch over to HubSpot and start using it to fully nurture and engage with your most engaged leads. Don’t let the price structure of HubSpot deter you and don’t let the price structure of MailChimp tempt you to stay instead of moving over. HubSpot has a number of business benefits and isn't limited to just email marketing. If you want to grow your business and scale, HubSpot is easy to set up and has all the tools required to market, sell and service in the most efficient and productive way possible. If you are looking to migrate your current CRM system from MailChimp or another piece of software over to HubSpot, you can find out more information about our migration workshops below.